Our 3D Virtual Tour Service package is a simple tool which we send you as a link to add to your Webpage or Social Media Pages when we have finished creating it for you. There is therefore no need for large storage space on your devices and it will be continously kept running smoothly for years to come on a highly secure state of the art engineered storage cloud engineered by Matterport. There will be a cost for creation of the Virtual Tour and a fee per Virtual Tour to pay per month to keep it running smoothly in the storage cloud. Below are a few of our most recent projects. Click on them and take a look at how great the tool looks and how easy it is to share and to switch from different views using the buttons at the bottom. If you are viewing it on a PC or large screen then be sure to press the 'full screen' button on the bottom right of each example after pressing 'play' to get the best full screen viewing experience. A Virtual Tour of your property can totally immerse your online viewers into your property really showing it off to its maximum potential and giving viewers a true sense of 'feeling' before visiting it in person. It can also help to weed out less interested customers and save on expensive and time consuming site visits & provide reassurance. It can allow your online visitors to access unsafe or unreachable areas or allow those with mobility disabilities access to places they can't do in person helping them enjoy the same experiences as everyone. It can also allow future visitors to check out suitable disabled routes and gain confidence before their arrival. With online Virtual tours, nowhere is unreachable. Fantastic looking 4K print ready photography included for all your advertising needs sent to you as a file. A 3D Model of your building to add to that 'wow' factor. 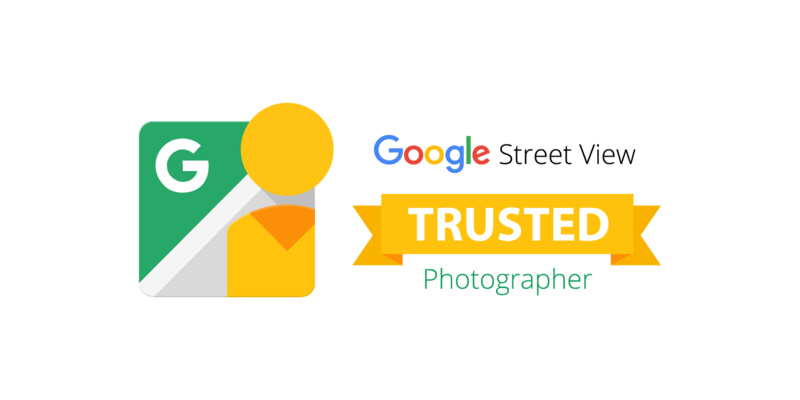 Once your Virtual Tour has been produced, we can look at creating a map service for your website to embed our tours and photography into. This could be used for large private property grounds with outbuildings or for a tourist street map etc. The map can incorporate a mixture of Virtual Tours and photography for the viewer to interactively experience by clicking the hotspots on the map. Alternatively,, If you have already spent money on creating a map for your business, we can easily turn this into an interactive map for your website without any further mapping creation costs. Your Virtual Tour can also be included on our own Cairn Virtual Reality UK Directory Map to further advertise your business at no extra cost. This map will be displayed on our Website available for our website visitors to look at giving your further advertising. A Treasure Hunt or quiz for your virtual tour is a great way of grabbing the attention of visitors to your website or social media sites. Its a good way of getting them to take a look at your virtual tour quickly. Perhaps offer a prize for the quiz or treasure hunt. If you would like a Treasure Hunt done for your Virtual tour then you can either arrange to have items hidden before we visit to photograph the tour or you can create a treasure hunt or quiz at a later date using the items on display normally. We can create floorplans of the area we have captured in your Virtual Tour Showcase. These can be with you within 2 working days and can include labels and internal measurements etc. Take a look at our photograph gallery below to see an interesting selection of photography we have captured from some of our projects. Using our company for Virtual Tours is using a well established company you can trust. We can provide services far beyone a basic virtual tour service or a simple package . No project is too big or too small for us. Get in touch soon if you would like a presentation of our 3D Virtual Tour Service Packages.